It’s so disappointing to see digital professionals in charities promoting spyware infrastructure from a company that thinks nothing of exploiting the vulnerable, the principles the sector were built on have been abandoned. What’s he on about? 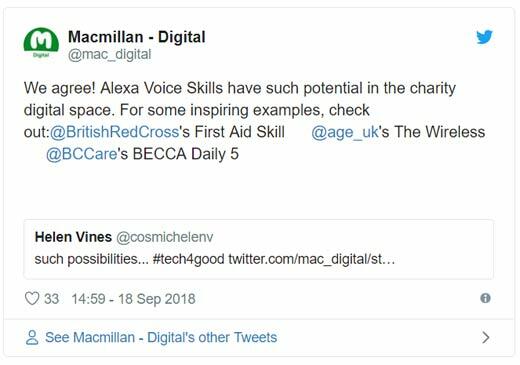 I’m talking about how many digital teams in charities talk about their “inspiring” work to build “skills” for the insidious privacy Death Stars that are the Amazon Alexa range of devices. I will take you through my objections to this step by step. Is there a more toxic brand to be associated with? Back in the day, when I was a young lad, long before I even worked for a charity I was a volunteer fundraiser. Day one of the volunteer training I did I was told: “Don’t do anything to embarrass, damage us or make extra work for us.” If I went to major companies in my area to aggressively fundraise I could cause more trouble than it was worth. The central fundraising team already were working on building leads with major companies and I might end up getting in the way of any potential deal. Added to that there was associating the charity with the wrong type of company. There are companies with dodgy reputations which by association could damage the charities brand. Charities have built up a lot of public trust so why risk it? Amazon is one of the richest companies in the world. In 2017 it made a £72m profit in the UK but only paid £1.7m in tax to HMRC. This is less tax than it paid in the previous financial year (£4.3m) despite almost trebling its profits. That’s money that isn’t going towards schools, hospitals, the welfare state and our creaking cash deprived network of local authorities. Instead, it goes in the Amazon fat cat coffers. In a climate where more traditional offline retailers continue to struggle, the sheer power of Amazon’s expensive army of lawyers means they can perch at the top of a very slopey playing field, avoiding entirely what most people might call employer responsibilities and they call overheads. The woes of working for Amazon are well documented. Staff are given “productivity” targets they must meet which have led some staff in the UK to piss in plastic bottles in the factory rather than face sanctions for walking to the toilet and back. Amazon doesn’t see the need to pay the living wage, love a good zero-hour contract and don’t seem bothered if some of their staff are so broke that they’re homeless or reliant on food banks. As long as Amazon can crank out their stuff in the smallest amount of time and lowest overall cost everything is just great. Their ultimate goal is to own every penny spent in the world of consumerism. They don’t feel pity or remorse and they absolutely will not stop until every single thing you buy comes from them – either directly or via their marketplace, where their defeated retail rivals go in a desperate attempt to fight for the scraps left behind. Against this backdrop, Emperor Jeff the Merciless Bezos, in the spirit of world-saving tech fauxlanthropists, launched a scheme to help educate homeless people without a hint of irony. So to be clear, they treat their staff inhumanely, they are destroying shops and jobs which local communities rely on and to top all of that off they don’t pay their share of tax, starving already stretched public services which are trying to plug the hole they’ve created. There are charities faced with dealing with the consequences of all this and trying to help people with social deprivation created by companies like Amazon. These are not the good guys. If you’re serious about social justice, fairness and just generally doing the right thing you would not want to be associated with them. Alexa… what’s so great about you again? 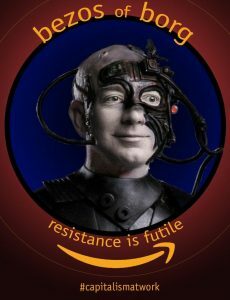 if Amazon is the Borg from Star Trek then the Alexa enabled range of devices are their cube ships, flying around the galaxy in a giant network, destroying all resistance in their path to the total assimilation of all species. The official version is that Alexa is a handy ‘tool’ or voice assistant which is labour saving and helps you connect all of the other security compromised and entirely futile surveillance devices around your home to your voice. Nice. Let’s hope you don’t have a regional accent which might confuse it. People keep telling me “It’s just so handy when you need to change the track on your Spotify and you’re baking an angel cake for your nephew’s birthday and your hands are all floury” Early adopters may love them but these products don’t seem mature enough to be properly judged as “essential” yet. If I ask Alexa a few simple questions it can’t easily map from Wikipedia It’s quickly stumped. Instead of being the worlds cheapest piece of super tech it’s the most expensive paperweight. Do I really need to tell my Amazon microwave to add on 30 seconds to cooking my baked potato when I can just press one button? I’ve found the cognitive load in making my question to Alexa toddler-friendly simple so it can understand what I’m asking greater than the worth of the answer. I don’t need a ‘smart’ front door lock, oven or toilet – there is no reason to connect these things to the internet, not now or ever. 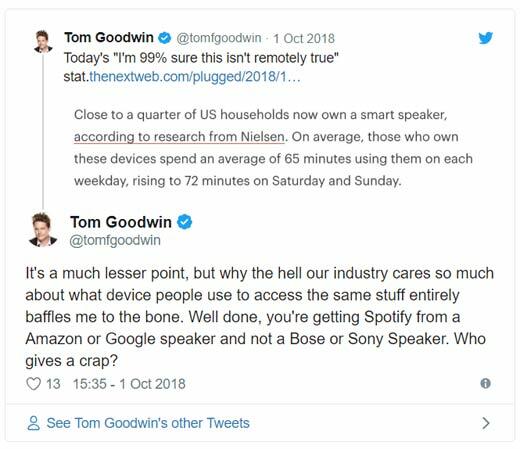 Connect them to an internal network if you really want a space-age home but there is no reason my expensive TV should be telling 700 different companies what I watched and when. Maybe companies will start building things that solve genuine problems and aren’t just frivolous talking guff blobs? I’d love to engage more with the ‘Internet of Things’ but I want the primary goal to be something other than spying on people and selling that data to the highest bidder. 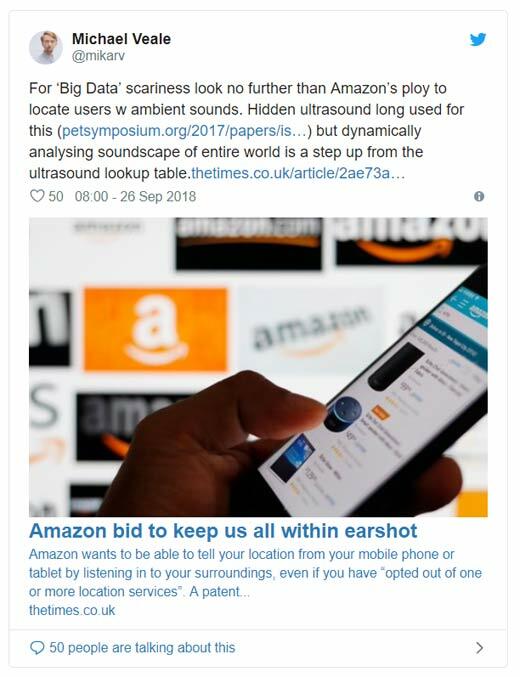 The real reason Amazon is pushing out Alexa so hard and even selling it at a loss is so they can have as many of these always-on wiretaps in every home, always listening, always feeding back every snippet of data to their master control programme, building profiles about you, knowing everything about you. I think this is sinister. I know there are many people with an attitude to privacy slightly more cavalier then my own. I’m not hoping to convert them by asking them to read 1984 but I would ask them to consider other people’s need for privacy. 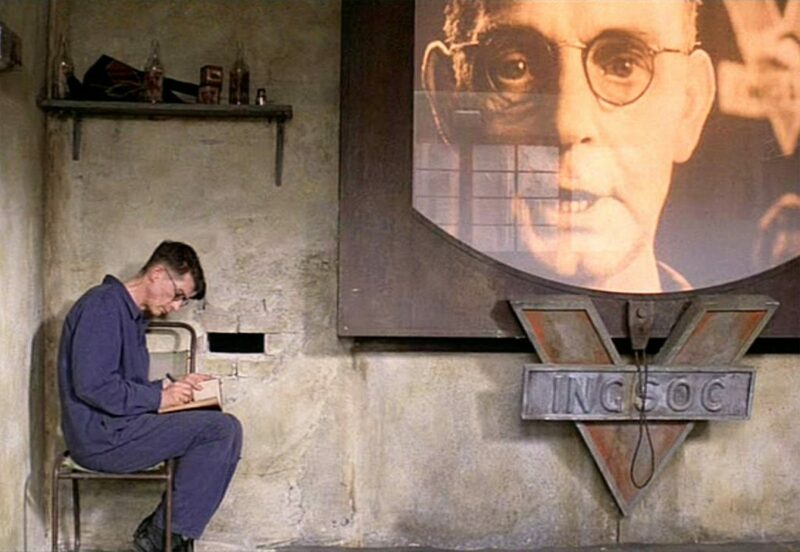 Perhaps these are the same people who don’t seem to watch the news or have read history books about how oppressive governments use surveillance to persecute their citizens. Privacy is a fundamental human right as well as protected in law in the UK and lots of other countries. What I discuss with my family in my own home, no matter how apparently mundane and uninteresting belongs to us, not anyone else. What time I go to sleep, use the bathroom or leave the house is not the business of Silicon Valley. We know from Snowden that the security services have devices on the bottom of aeroplanes which can turn on your phone camera and microphones and listen in without them being even switched on. Alexa has made that job so much easier. Why do I need my plane when I can just hack Alexa? Security around IoT devices is another major concern. I still believe main threat to privacy is from Amazon itself. Alexa, with its constant link to its Seattle HQ, records absolutely everything it hears and then apparently dumping all the stuff it doesn’t need. We can only take Amazon’s word for that..
To know about how Amazon operates and the risks around the devices themselves it takes a pretty massive leap across a chasm of cognitive dissonance to associate with them and build software for their platform. You’ll then have to keep the blinkers turned on while the news keeps coming in around you. Team cultures must be revolving around the simple cool stuff rather than the complicated awkward truth. Let me reiterate I don’t blame charities for any of this. They employ digital professionals to provide expertise and leadership. We are constantly being told that it’s vital to build curiosity into a digital team culture. Part of curiosity comes from an attitude of questioning things, a cynicism. The entire tech industry has a PR juggernaut working behind the scenes pumping out dross to try and convince people of the next big thing. You’ve probably heard by now heard that about 90% of households will have a voice assistant by 2021, or was is 92% by 2020 or was it 85% by 2025? They’re going to be as ubiquitous than a sink or a kettle in the nation’s kitchens. 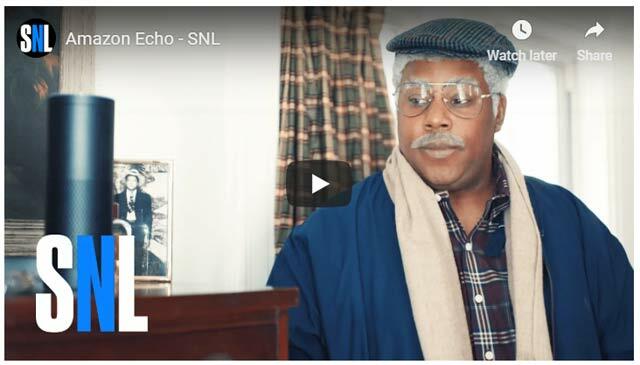 Does owning a voice assistant equate to using it regularly or even think it’s any good? 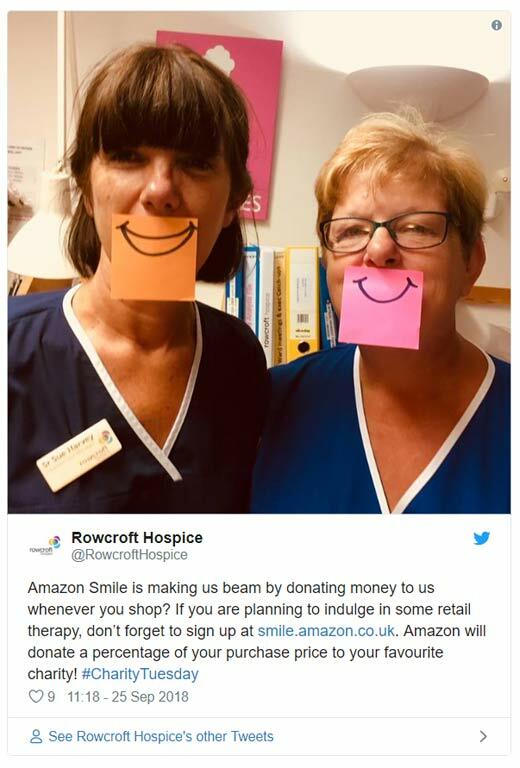 Amazon knowing the public trust given to the charity sector did the smart thing. As soon as they could they slapped a ‘donate’ feature on the Echo. This an obvious red flag if ever you need one. As if Amazon gives a monkey about people giving to charities. What they do care about is adoption and crushing their rivals so getting charities with their triple-A rated public trust to use their device over Google or Apple is an easy way to get a load of free publicity. It seems all you need is a donation button to get people in the charity sector to bend the knee, all other sins are forgotten. Yes, I am pushing 40 and have grey hair. I sacked off Facebook and am not on Instagram or Snapchat. There will always be more things I don’t know about and understand then I do, both online and offline. I’m OK with that. I’m fine with you thinking I’m way off on this. Even if I am out of touch the basic mechanics haven’t changed. Giant organisations who don’t care about their staff, who treat them like cattle or worse is nothing new. People who think nothing of making other peoples lives worse just to make themselves richer is nothing new. Admittedly, getting people to pay you to install your wiretap in their house is new. There is a passive acceptance of the situation from people who work in the digital business including charities. Where is the questioning? Where are the should we / shouldn’t we arguments? We are the objections, the protests, the boycotts? 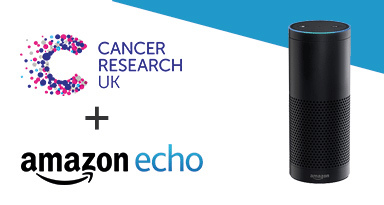 If you’re a charity and won’t take money from the tobacco industry or a payday loan company how can you put your own time and resources in to free #CharityWashing for Amazon? That just doesn’t make sense. As I said I don’t think that digital professionals in charities are doing enough. They seem to be avoiding these debates and not considering if they’re steering their charities on the right course. They might well be doing this behind closed doors but I’ve yet to see a blog post or even a tweet which questions if charities should be so cosy with big tech firms. This is all wrong. Big tech firms and what they call ‘disruption’ often fly directly in the face of social justice, equality and independence. It can be a shortcut to avoid moral responsibility sold as a clever reworking of the rules. You could argue that explaining the complexities of what Google and Facebook do to non-digital colleagues is difficult and asking them to weigh that against the potential benefits of the stream of website traffic Facebook pulls or a free Google grant is even harder. The issues orbiting Amazon are just too plentiful to ignore. Perhaps I’ve kidded myself into believing that people working for charities joined them because they didn’t want to tow the line of a profit-focused corporate, that they wanted their work to mean something and make a difference to people. Perhaps I’ve kidded myself into believing these were people who had moral red lines which they refused to cross, that they would be the first ones to object to this sort of paradox. Digital professionals are the ones steering the digital path of charities in the future. Other organisations in society look to charities for moral leadership. If it isn’t digital experts in the third sector who will ask the questions that need to be asked it probably isn’t going to be anyone else. Your duty to the sector and our digital future depends on you acknowledging that your responsibilities don’t start and finish at the Kanban board.